CoolBoard is a massive hit with everybody who rides on one! But don’t take our word for it – you can see what they have to say right here. Wow – Impressive customer service on your part – such a rarity. Thanks for the response – I know I’ll receive it before I move now. Great to do business with you – i’ll let you know how I get on with the board. Yep thanks it came the very next day as you said it would! I have to say the whole family are completely hooked, even my 3 year old son (who admittedly needs a willing pair of hands to help lol). We have subsequently promised to get them a smaller board for easter, so it makes a nice change from wanting chocolate eggs lol. Many thanks for all your help and advice your customer service has been impeccable and the cool board has far exceeded expectations! I have to say the whole family are completely hooked, even my 3 year old son, cool board has far exceeded expectations! It’s improved my balance greatly, which is very useful when rowing and snowboarding; I’ve certainly noticed a difference. I’d certainly recommend these to anyone for improving their balance, core muscle strength, or who just wants to have fun whilst getting a bit fitter. fast, efficient, friendly and very helpful – I highly recommend CoolBoard! This item was delivered within 24 hours and the Coolboard was everything I hoped it would be. Gives a great exercise experience, worth every penny. this thing is in a different league and well worth the money! used a few different balance boards, and i don’t think theres anything else like this one! I highly recommend this product, for anyone really, for someone recovering from an injury, some one looking to improve core muscles, or anyone involved in any kind of sport!! I am so impressed with the quality of the board, I shouldn’t have worried about it breaking, don’t think I could break it even if I tried. It is good to be able to ‘control’ the ball back under your centre-of-gravity to regain your balance, something that is lacking from the wobble-board. 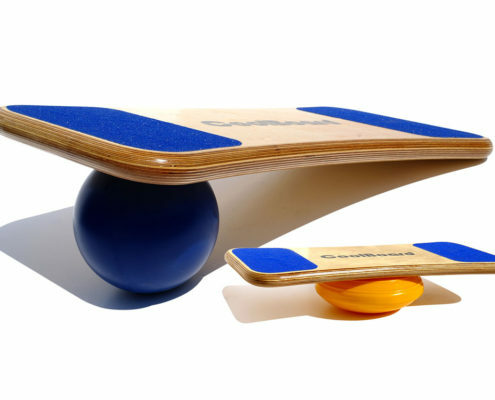 Cant believe how much harder it is than normal balance/rocker boards and was surprised how much i felt it through my legs and core. yes got it and its brilliant…..Physio regime is somewhat tedious and a chore to do. The board has absolutely transformed that. it is brilliant!!!! It’s great fun, great exercise and has already started to ease my back pain!! At the moment I’ve only been using the Balance Disc, as I’m only really getting used to having movement back in my ankle, never mind any kind of control just yet. But this thing is working wonders, it really is. Usually, I have to get my foot massaged every couple of weeks because it stiffens up through not getting used properly, but since using the Coolboard every day I can actually feel things loosening as I’m on it, and not just in my foot. Its weird, I’m 30 years old and need a walking stick or crutches to go anywhere but I stand on that Coolboard and I feel mobile again. Thank you for being available, I plan on recommending you to friends, cripples and boarders alike, and will also be mentioning you to the physio departments of both Bristol and Basingstoke hospitals. a lot of my crashes when racing come from being thrown onto the back of my skis … this will be a big help in improving my ability to recover from those situations. I used a [roller]board as well, and although they are good for more controlled balance exercises, the Coolboard definitely beats it by a mile for reacting to sudden changes in balance and you can feel it working your core muscles a lot more than you can on a [roller]board. I will definitely be recommending it to other people at my ski race clubs.